I trained as a textile designer, developing fabrics and structures with inherent colours, patterns and textures. This visceral assault on my senses, translated into an attraction to create palpable surfaces. I have always experimented with clay, using it in a more traditionally sculptural form. From this experience, I began developing and experimenting and eventually refining my process. A few years ago I began using porcelain to create jewellery. It is a wonderfully tactile and refined medium, with properties that allow for endless creative and decorative possibilities. 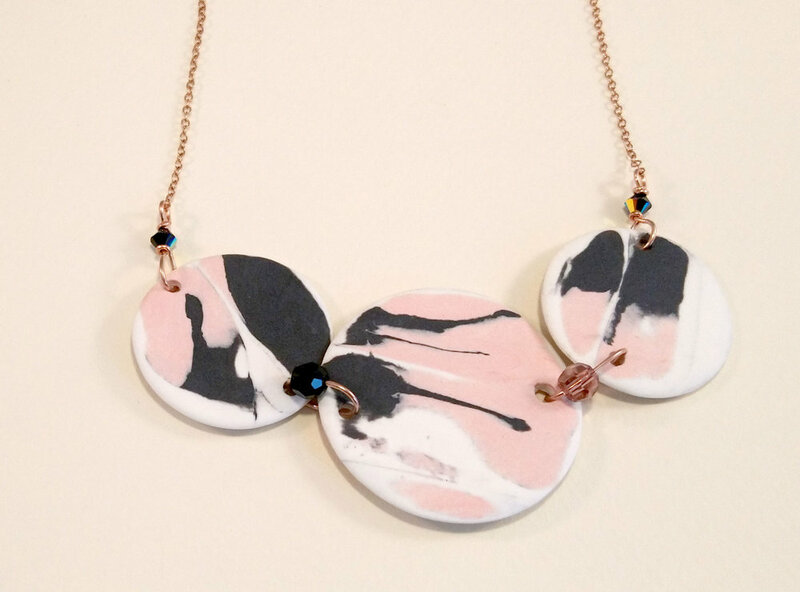 Losa Lou Jewellery was conceived from a desire to produce accessories, for people who are drawn to artisan pieces. Every porcelain piece is delicately handcrafted and decorated with a combination of glazes, decals, gold lustre and textures. Each piece is finally finished on either sterling silver or rose gold vermeil. The culmination of these processes can take weeks to complete, in order to create something, personal, elegant and unique.